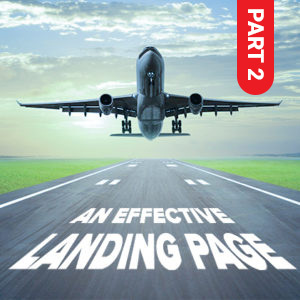 Check out Anatomy of An Effective Landing Page. Visitors who end up here usually do not intend to get to your page. Often, these people do not even know you. However, they found something online that linked back to this page. The most common scenario before arriving in your landing page is that they might have been searching for items or services and you might just be what they need.